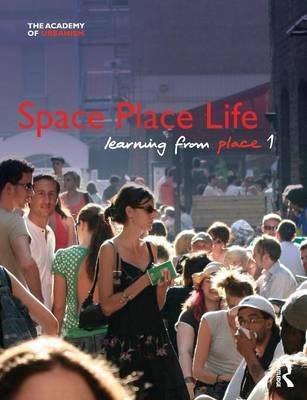 Space Place Life is the first in a series of books drawing on the expertise of the Academy of Urbanism. This book examines the concepts that are core to the academy; the way that urban space is designed, the quality place created by the buildings that enclose this space and the life that animates it. All great towns and cities across the world depend on these three fundamental aspects of urban life. This is combined with essays by leading urban practitioners in the UK inspired by the places shortlisted for the Academy's first ever awards. The surveyor Chris Balch writes about three capital cities; Dublin, Edinburgh and London. The urban designer David Rudlin is fascinated by the sense of belonging and community found in the shortlisted towns while the public realm designer Brian Evans takes a walk through three great neighbourhoods. The highway engineer David Taylor becomes an urbanist to explore the life of three great streets while the academic Sarah Chaplin responds to three very different urban places.